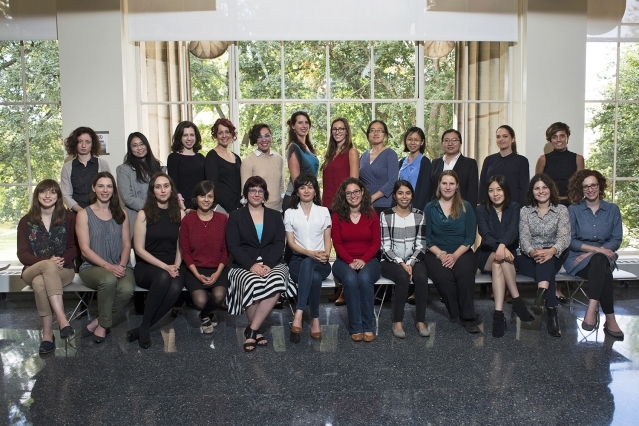 Women graduate students in the Margaret Wong Room. The MIT Physics Department’s mission is excellence in physics research and teaching. We tell the story of the physical universe to the world and doing so well means having all the world's voices as part of our community. Our task is hard and we engage with great alacrity, but we recognize our work cannot compromise the health or well-being of students, postdocs, staff, or faculty in our community. We bring new people into our community in three major ways: through our graduate admissions, through the Pappalardo Fellowship competition and through faculty search. These three processes are carried out by the Department’s four Divisions (experimental particle and nuclear physics, astrophysics, theoretical physics, atomic, bio and condensed matter physics) and the committees within each division always include a faculty member specifically charged with ensuring all applications are properly evaluated, specifically taking into account the background of the applicant. These faculty receive training in implicit bias. In addition, the Department Head, Associate Department Head and designee of the School of Science review candidate and short lists at every stage and frequently insist on changes. Every two years, we report to our Visiting Committee, which in turn reports to the Institute. A major task of the Visiting Committee is to ensure our processes and their results are consistent with the values expressed above. 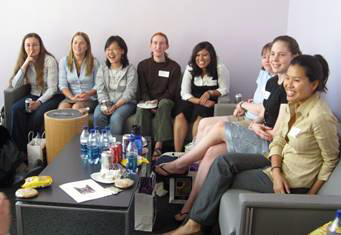 There is a strong component of student governance: the Society of Physics Students (SPS), Undergraduate Women in Physics (GWIP), Physics Graduate Student Council (PGSC) and Graduate Women in Physics (GWIP) all play roles in student life in the Department through outreach and professional development events. The Department provides funds and guidance for these activities. Recently, we have begun to look carefully at the atmosphere in the Department, both for faculty and students. This spring, we are beginning to engage our student groups and URM students in a discussion about short-term changes we can make in use of student spaces and communications to make both more reflective of all the cultures of Physics students. At the faculty and staff level, we are in the midst of a multiyear examination of departmental programs to ensure we continue those important to us and discard any not meeting our needs. An important recent example is the elimination of one of our graduate exams and changes to the other in order to reduce student stress and faculty workload. The Department engages in continuous self-examination to improve the way we do our work and to make sure all voices are part of our community. These are necessary to fulfill our mission. Further resources for students, faculty and staff on diversity at MIT can be found here.